What’s better than experiencing all the high energy of Vegas this fall? Visiting Vegas then taking a quick getaway to the Grand Canyon!
! Once you arrive at the Grand Canyon in your luxurious limo, you can enjoy the scenery with a picnic and take one of the magnificent helicopter tours. There are also some great hiking trails like the 19-mile roundtrip Bright Angel Trail. 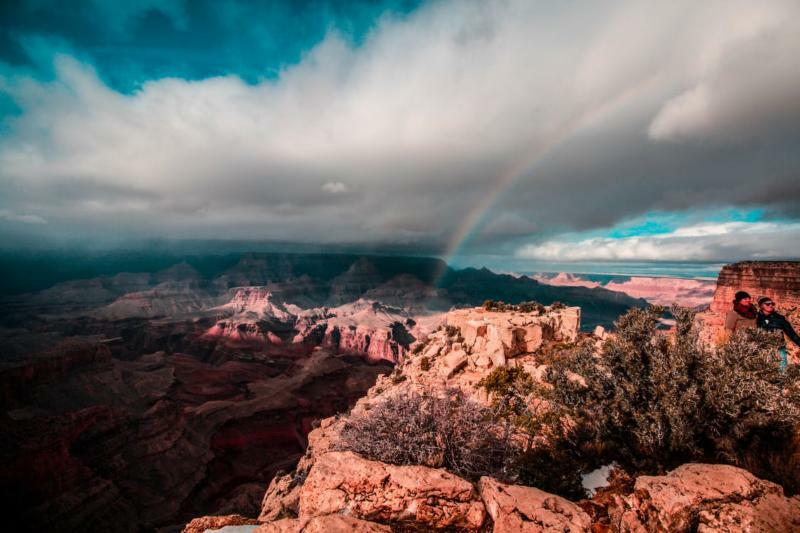 You can also bike Grand Canyon National Park’s Hermit Road Greenway Trail which provides bikers the chance to enjoy pine forests and experience the park’s six lookout points with breathtaking views. If you want to get way crazy, you can skydive the canyon or tone it down with a kick-back railway ride taking in the Grand Canyon’s southern rim. So, whether you want to take a date, go with the family or experience the Grand Canyon with some friends, Earth Limos & Buses has the perfect Grand Canyon Tour for you! With the Mayweather vs. McGregor fight behind us, Vegas looks towards the next great Super Fight! Canelo Alvarez is finally set to take on middleweight champion Gennady Golovkin in a boxing middleweight showdown. 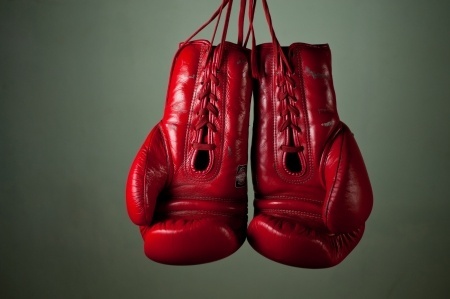 The Canelo vs. GGG fight is scheduled for September 16 and the excitement is building as we will soon see who is the best middleweight boxer in the world! When it comes to boxing, Las Vegas never disappoints! Earth Limos & Buses recommends you take a limo to this much anticipated boxing event! Engaged couples can now get married at the cool and historic Neon Museum! Weddings can be held at the Neon Boneyard Park or at the North Gallery. The North Gallery provides a scenic venue where the couple will be surrounded by hundreds of vintage neon signs while the Neon Boneyard Park, a beautiful public park adjacent to the museum, provides an enchanting and exciting wedding backdrop. Wedding packages vary and may include a guided tour, 30-minute photo op and celebratory treats. Desert weather got you down? Just chill and choose a much colder venue for your wedding – the Minus5 Ice Lounge. From the ice bar, translucent ice walls to the ice tables and ice seating, virtually everything in Minus5 Ice Lounge is made of ice. Your wedding is sure to be picture perfect, memorable and very cool. Chapel are always a blast. The newlyweds get to use the VIP range and may also shoot targets using a handgun, pistol, grenade launcher, sniper rifle or machine gun. Private instruction and one-on-one tutorial can be provided depending on the package you choose. To complete a unique wedding, you’ll need a luxurious white wedding limousine for transportation. Thankfully, Earth Limos & Buses offers just that! Our white wedding limousine is modern, spacious and so stylish. Celebrate togetherness by riding in style. Call us at 725-777-3333 or visit Earthlimos.com. Are you fond of smoking high-quality cigars? You should definitely get together with fellow cigar lovers at the 21st Big Smoke Las Vegas Weekend at The Mirage on November 11-13, 2016. The weekend is divided into two parts – daytime seminars and evening smoking events. First day topics include Top Cigars of 2015, The Next Generation, Cigar Loves Guide to Cuba, Honduran Cigars and Anatomy of a Cigar. The first seminar day will end with a seated lunch with Jose Oliva, President of Oliva Cigar Company. The second day of the seminar will start with a Cigar Lover’s Breakfast followed by talks on Rolling your Own Cigar and Touring Scotch-Land. All throughout the seminar days, packets of varying cigars will be handed out to participants to smoke during cigar breaks scheduled throughout the days. The evenings are on Friday and Saturday. All participants will get the chance to mingle with many cigar enthusiasts, sample top-notch cigars from over 25 famous cigar makers including Quesada, Rocky Patel, La Flor DOminicana, Foundry, La Galera, Oliva Serie O, Aging Room, Diamond Crown and many more. Wine, beer, liquor and spirits will also be served together with an abundant buffet to keep Big Smoke Evening participants impressed. After a successful night of cigar sampling, take the opportunity to see the different sights of Las Vegas. Contact Earth Limos & Buses at 725-777-3333 or check out http://www.earthlimos.com/ and go on a Vegas Strip Tour. 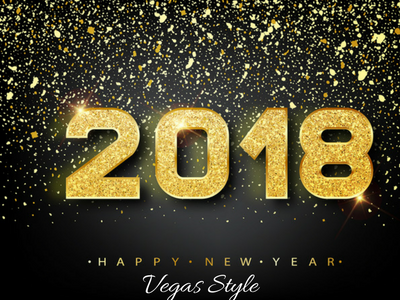 You and your friends get to ride a luxurious limousine or party bus, enjoy a complimentary bottle of champagne and stop at various locations to watch outdoor live shows such as the Bellagio Fountains, the Mirage Volcano and many more. Check out Earth Limos & Buses now to personalize your tour. There are always fun-filled events happening in and around Las Vegas every single day. For wine and liquor enthusiasts, you’ll be glad to know that two big sampling events are coming your way this month – Lee’s 10th Annual Beer and Tequila Experience and Golden Nugget’s Spring Wine Fest. The first Beer and Tequila Experience by Lee’s Discount Liquor was in 2012. Due to its overwhelming success, the event turned into an annual tradition and is now on its 10th year. At the Annual Beer and Tequila Experience, participants can sample various libations including vodka, rum, gin, sake, and margaritas. The highlight of this event is the 300 handcrafted beer varieties and 70 tequila brands. There will also be a silent auction to raise funds for Lee’s Helping Hands. All net profits from the event will be donated to this non-profit organization that supports families, communities, and children’s charities in the city. Lee’s 10th Beer and Tequila Experience will be on May 7, 2016. Ticket prices are sold starting at $50. The 8th Annual Spring Wine Fest is finally here! For two days, participants get to enjoy Sonoma and Napa’s finest wines from various wineries like Mount Veeder Winery, Duckhorn Wine Company, Trinchero Family Estates, Stag’s Leap Wine Cellars, Dry Creek Vineyards, Sequoia Grove, Rodney Strong Vineyards, Cakebread Cellars, DeLoach Vineyards, Ravenswood, and more. The Spring Wine Fest will kick-off at the Golden Nugget Las Vegas on May 13, 2016. It will be held at The Tank Pool. The Napa/Sonoma Grand Tasting with Silent Auction will be held on the next day at The Grand Event Center. Tickets for the kickoff reception are sold starting at $45 while tickets for the Grand Tasting are sold starting at $89. To fully enjoy these tasting events without any restraints, don’t forget to call up Earth Limos & Buses for a limousine. Your friendly chauffeur will ensure that you are comfortable and will arrive safely to any of your destinations. Contact Earth Limos & Buses at 725-777-3333 or visit their website at www.earthlimos.com for more information. Weddings can be a real pain to plan. For one wedding day to be a complete success, a million little details must be meticulously put into place. A color motif or wedding theme must be decided upon, venues and vendors must be wisely selected, flowers and other decors must be picked out, the right wedding entourage should be chosen, the guest list needs to be organized and trimmed down, and so much more. 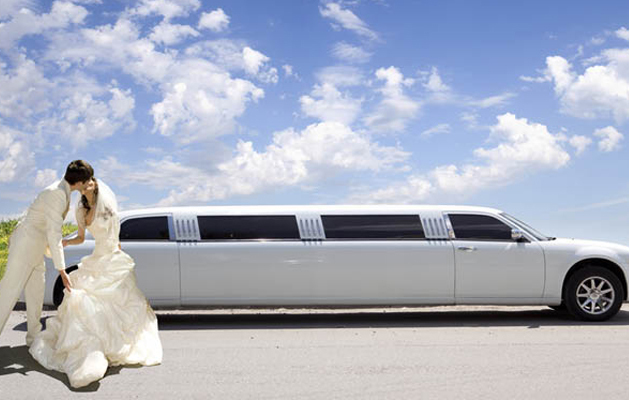 Check off one item on your wedding-to-do list and call up Earth Limos & Buses for your white bridal limousine now. Their bridal limousine is the number one transportation of choice for many couples getting married in Las Vegas and it should be yours too. Forget about regular white bridal cars. Remember: when in Vegas, go big! Earth Limos’ white limousine bridal vehicle is the only way to go if you want to make a huge arrival impact. Appearance-wise, it is super chic, jaw dropping, and such a head turner. Apart from these, a white bridal limousine is quite functional too. The interior is quite spacious and can accommodate up to 8 individuals. You’ll be seated comfortably even while wearing a princess bridal gown with long train and veil. The limo’s spacious storage capacity also makes transport of your wedding gifts or suitcases (in case you’ll be traveling immediately after the ceremony) hassle-free. Earth Limos & Buses will guarantee that availing of their white bridal limousine will make your special day much more convenient. Your aptly-dressed and polite chauffeur will be punctually waiting to take you to your destinations safely, stylishly, and on time. All you and your companions need to do is relax, enjoy the plush seating, and drink the complimentary bottle of wine or champagne and bask in marital bliss. What are you waiting for? Book your own white bridal limousine on your special day by calling up Earth Buses & Limos at 725 -777-3333 or visiting their website at www.earthlimos.com. When Walt Disney Pictures released the animated, musical version of the fairytale Beauty and the Beast in 1991, it instantly became a box office hit. Children and adults alike were mesmerized with the beauty of Belle, the gruffness of Beast, and their unique love story. The supporting characters comprised of the talking candelabra, pendulum clock, teapot, teacup, and other furniture made the movie even more lovable. Having won Academy Awards for Best Song, Best Original Score, and Best Picture, it is not surprising to know that this movie was bought to the Broadway stage just a few years after its release. 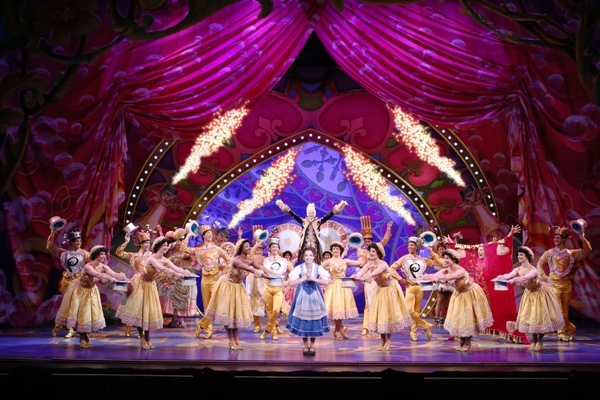 Truly a huge success, Disney’s Beauty and the Beast’s stage adaptation have been performed in over 21 countries and 120 cities since its first run in 1994. And because it still tugs at the heartstrings of many individuals worldwide after all these years, Disney’s Beauty and the Beast is coming back to The Smith Center in Las Vegas this April 2016. The theatre production will run from the 8th of April until the 17th. Tickets prices are sold starting at $24. Best reserve your tickets now if you want to get the best seats at Reynolds Hall. Continue to bask in romance and enchantment even after watching Disney’s Beauty and the Beast by going on a Las Vegas Strip Limo Tour and Light Show from Earth Limos & Buses. Enjoy the complimentary champagne or wine onboard the plush and luxurious limousine as you witness the grandeur that only Vegas can deliver. Call up Earth Limos & Buses now to customize your own tour experience. You may reach them at 725-777-3333 or visit their website at www.earthlimos.com for more information. Trekkies, are you ready to geek out on the Star Trek music? Be a part of the first Star Trek: The Ultimate Voyage Concert happening on April 4, 2016 at Orleans Arena at The Orleans Hotel and Casino Las Vegas. This special production is in celebration of Star Trek’s 50th anniversary. Expect The Star Trek: The Ultimate Voyage Concert to be lavish and impressive. A live symphony orchestra with international solo instrument artists will be playing the especially composed music for the famous international franchise. This includes the memorable tunes from Star Trek: The Original Series, Star Trek: Deep Space Nine, Star Trek II: The Wrath of Khan, Star Trek: The Next Generation, Star Trek: Insurrection, Star Trek IV: The Voyage Home, Star Trek: Voyager and more. For an even epic experience, concertgoers will also be treated to a Star Trek film and special TV footage. These will be simultaneously played during the concert via a 40-foot wide screen. Be a part of history and watch the first run of Star Trek: The Ultimate Voyage Concert. All concert tickets are priced at $50 only as thanks to over five decades of loyal trekkers’ support. Share the joy and bring your friends to see the concert. Afterwards, you can all go on a tour of the Las Vegas Strip via Earth Limos & Buses. Your friendly and polite chauffeur will take you to the several famous spots in the city including the Welcome to Las Vegas Sign and the Bellagio Fountains. Not only will you enjoy the sights, you’ll love your limousine ride too. Its plush seats, modern light and sound systems, and clean and air conditioned interior will make you want to take hundreds of selfies for your social media accounts. Make your Star Trek: Ultimate Voyage Concert a truly out of this world experience by contacting Earth Limos & Buses limousine now. Visit their website at www.earthlimos.com or call them up at 725-777-3333.